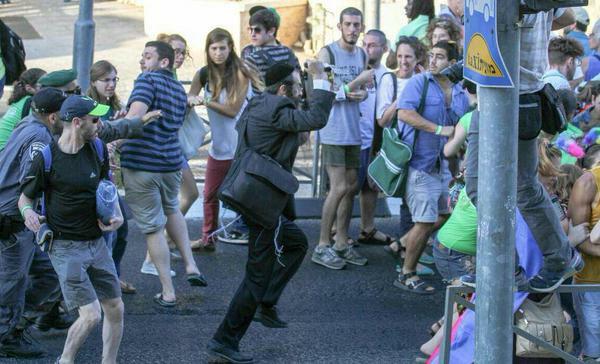 An ultra Orthodox Jewish man went on a rampage at the Jerusalem Gay Pride Parade, stabbing six people. 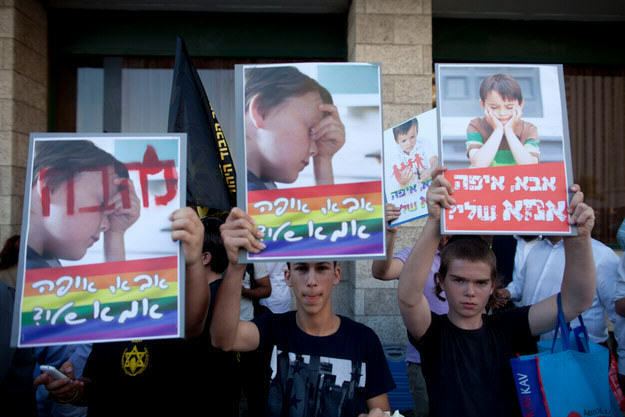 Israel police have confirmed that the attacker is Yishai Shlissel, a Jewish man who, unbelievably, stabbed three people at Gay Pride in 2005, and was released from prison just three weeks ago on grounds of good behaviour. Shlissel, who has a history of hate crimes attended the gay pride parade, before pulling out a knife and started screaming at the crowd, before stabbing people randomly. Six people were hurt in the attack, but it’s not thought that any of the injuries are life threatening. 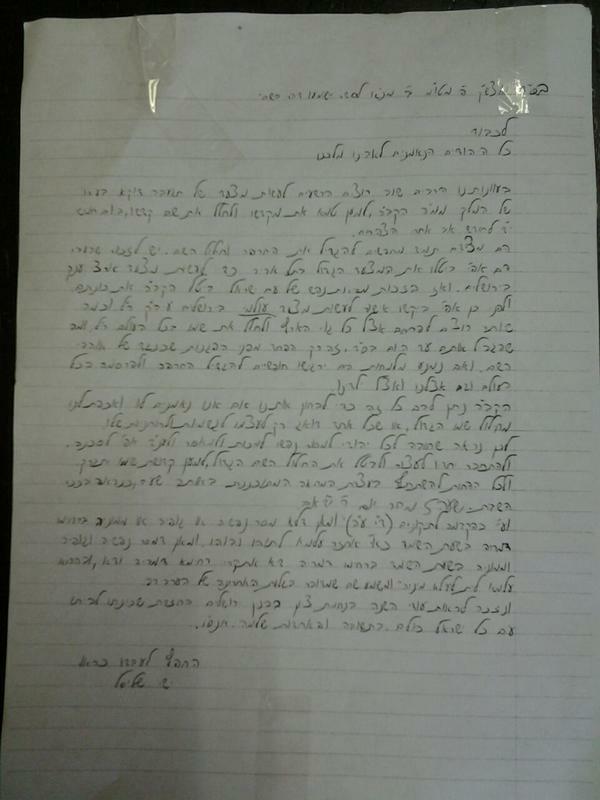 A hand written letter did the rounds on Twitter ahead of the march, making threats against the parade, and was apparently signed by Yishai Shlissel. Police granted a permit to 30 protesters ahead of the parade. These were right-wing religious activists who were set up by the Great Synagogue, but Shlissel was not one of these. Aaron Ben-Zev was a marcher at the parade. I don’t understand how he got in here, how he got so close to the parade and then stabbed six people before anyone could stop him. Where were the police? Of course, we won’t let this stop us from marching, but we have to ask, where were the police? 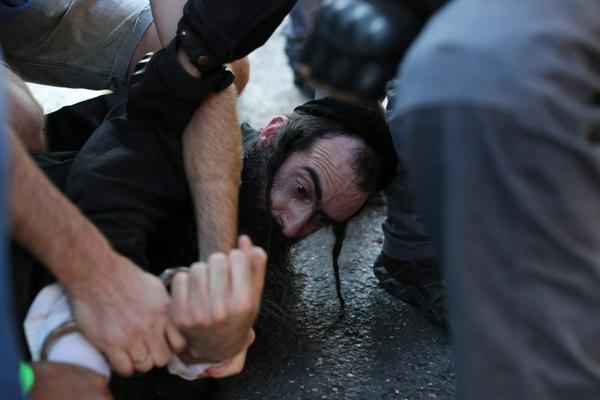 Especially when they know the ultra-Orthodox have threatened us in the past. I could hear them screaming stuff at us about how we were animals, how god would punish us. I don’t understand how they are allowed to carry on with that kind of incitement. After what happened 10 years ago, police should be cracking down on these groups, not allowing them to stand around and scream threats at us. After the stabbings, most of the 5000 attendees carried on, despite the sombre mood.